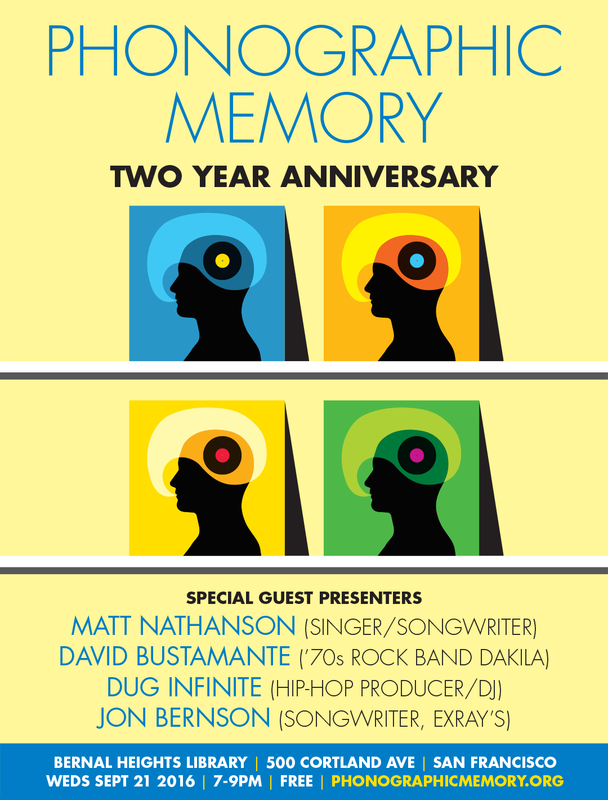 We will be celebrating two years of Phonographic Memory on September 21st. To honor the achievement the Bernal Heights Library has opened up the top floor to us, which not only doubles our capacity, but enhances the experience with it’s beautiful architecture and vaulted ceilings to amplify the acoustics. Matt Nathanson, Bernal Heights based platinum selling singer/songwriter. David Bustamante, guitarist for the 1970’s San Francisco rock band Dakila. Stories and songs start at 7:00PM, but come early to reserve a seat.